The definition of Fetal alcohol syndrome (FAS) is a permanent group of conditions that may develop in a child due to their mother drinking heavily during pregnancy. According to the Centers for Disease Control and Prevention, the syndrome causes brain damage and can even stunt the growth of a person. But what are the consequences of Fetal Alcohol Syndrome, and is there any way to help someone who is suffering and ease the symptoms? 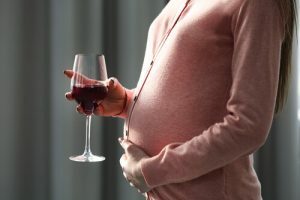 Fetal Alcohol Syndrome is a disorder caused when a woman drinks heavily during her pregnancy and is one of the long-term effects of alcohol abuse in women. Children aren’t as developed as adults in any way, so they cannot break down the large quantities of alcohol consumed by the mother. So when the alcohol consumed gets into the child’s bloodstream, it causes both physical and neurological development issues. The issues caused by the disorder aren’t always immediately apparent. In fact, for many years they often go undiagnosed or misdiagnosed. Sometimes they even develop later in life, during the years of adolescence for example. Neurological disorders caused by unusual brain structure, including epilepsy. Cognitive deficiencies – This may include learning difficulties, as well as a generally low IQ and inability to follow instructions. Fetal alcohol syndrome often leads to poor academic performance. Motor function impairment – This leads to poor muscular coordination. Young children with fetal alcohol syndrome will often find it challenging to sit, crawl, walk or even do simple things like grasping objects. This may often be misdiagnosed as clumsiness. Functionality Issues – This can include the inability to organize and a lack of impulse control. Functionality issues make everyday routines difficult and can often make memory, causation, and instructions a challenge for the child. Attention Issues – Focus is often very difficult to keep, even for a fetal alcohol syndrome adult. They may seem inattentive, impulsive and they will easily become flustered. This is why the syndrome is commonly mistaken for ADHD. Social Inabilities – It is also common for fetal alcohol syndrome adults and children, to struggle to comprehend social normalities. They may have issues with empathy, fear those they do not know and be generally immature. Fetal alcohol syndrome in adults is often exhibited by inappropriate behavior, such as sexual assault or bullying. This is because they cannot comprehend what is normal and okay to do. 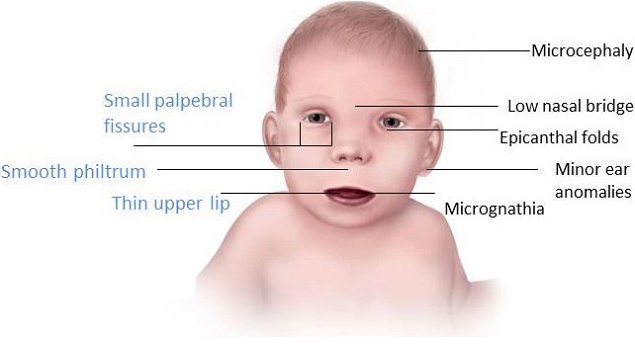 Severe fetal alcohol syndrome means all these symptoms are further exaggerated. The child will struggle more, depending on the amount of alcohol that entered their bloodstream in utero. There is often a lack of understanding around exactly what fetal alcohol syndrome is. This makes dealing with the consequences of the disorders even more challenging. 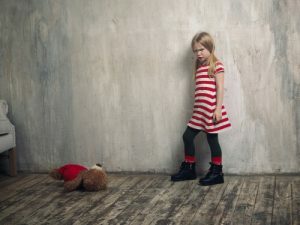 Due to many people not understanding the disorder, when fetal alcohol syndrome caused problems for the child at school, it is often just regarded as misbehavior. As a consequence of the syndrome, those affected can often be affected by consequences just like that. Developing other disorders of the mind – Fetal alcohol syndrome can often lead the child to feel inferior. They may then develop alcohol-induced depression and anxiety. They may also struggle to pay attention and develop ADHD. The trouble with following laws and rules – A lack of impulse control and general inability to comprehend rules mean those suffering from the disorder often get into trouble. They may also struggle to control emotions. Educational issues – Due to struggling to follow the rules, many with the disorder will truant and not try at school. They may not pay attention and therefore perform poorly. Their differences may also make it a challenge for them to make friends. Abusing drugs – Many with the disorder see substance abuse as the only way out and quickly become addicts. Problems with living independently or holding down a job – Due to a lot of cognitive issues, lack of understanding of rules and inability to solve problems, many with the disorder struggle to hold on to work. Despite all these issues being highly problematic, these are not the worst consequence of the disorder. Fetal alcohol syndrome is irreversible. That means that the child is stuck with it for life. This consequence is often more difficult to manage than all the others as it often takes away hope for some people. However, there are ways to improve the life of someone suffering. Just because fetal alcohol syndrome is irreversible, doesn’t mean there isn’t a way to help someone suffering from the disorder. Many of those diagnosed early enough can be helped as their symptoms can be managed effectively. This allows them to get an ideal education and achieve in life. In addition to managing the person’s symptoms to better their quality of life in the future, there are a few forms of immediate help. This may include medication or even therapy. Therapy can teach the child how to behave socially and how to deal with feelings and impulses instead of turning to drinking. Fetal alcohol syndrome statistics state that if a child is diagnosed before the age of 6, then they have a much better chance of a normal life. A diagnosis this early would mean they could be brought up in a safe and suitable environment and taught the ways of the world. Due to the issues fetal alcohol syndrome causes it is important to try to prevent the disorder occurring in the first place. This is done by not consuming any alcoholic substances during pregnancy. It is possible for even a single drink to affect a child, even if it is unlikely. In case a pregnant woman is unable to quit drinking, there are many alcohol addiction treatment options available. They include but not are limited to inpatient and outpatient rehabilitation, alcohol addiction counseling, support group meetings and more. Alcoholic rehabilitation for parents is the best way to prevent FAS in their children.